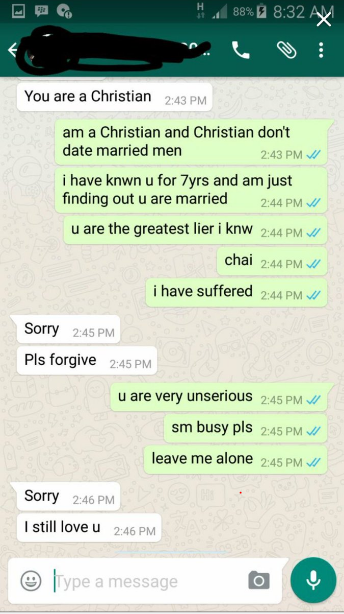 A lady shared screen-shots of her chat with her boyfriend whom she dated for 7 years but had no idea he's been married for 4 years. 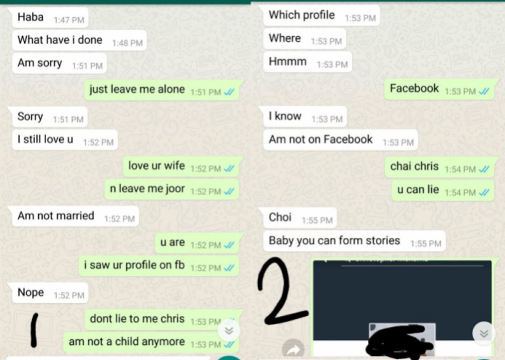 The man blocked her on Facebook but a friend saw his photos with his wife and sent it to her. 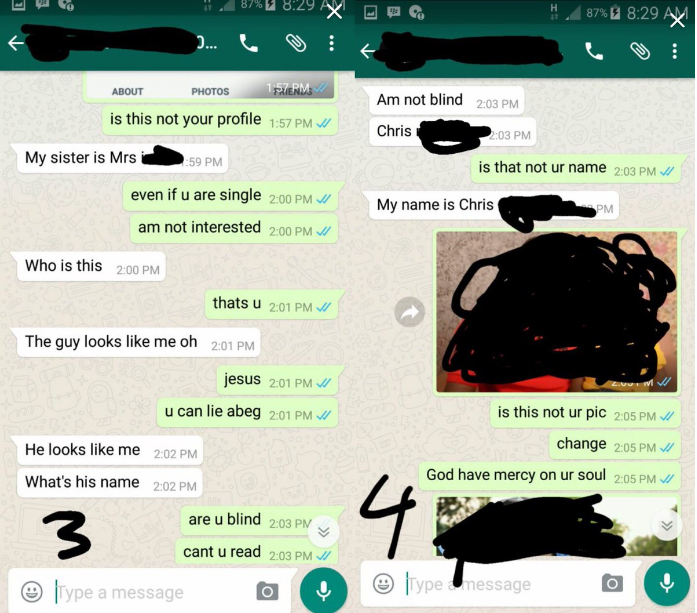 When she confronted the man with the evidence, he denied being the person in the photos saying it was just another person bearing a striking resemblance to him. Continue to read the rest of their chat.